As the days get shorter and weather begins to turn, winter is drawing ever closer. For those of us who love our lawns, winter can be a disaster, wreaking havoc on our beloved patches of grass. Fortunately if you take the right steps, you can get your lawn in the best possible condition to withstand everything the cold season has to throw at it and leave it in top form for the spring. This essentially means poking your lawn full of holes, either with a garden fork or, ideally, a specialised aeration tool. This allows air to reach the grass roots ensuring them a steady supply of oxygen and nitrogen that they need to grow, giving your lawn a strong base to help it survive over winter. It also improves the lawn’s drainage, preventing water from sitting on the surface for long periods and effectively drowning your lawn. Falling leaves can quickly accumulate on your lawn, preventing sunlight from reaching your grass. A layer of leaves can also prevent water evaporating, leading to damp conditions that can promote the growth of moss and mould which can harm your grass. It is essential to regularly remove fallen leaves to prevent these issues. Moss and dead grass (known as “thatch”) should also be removed before winter as these prevent new grass from growing and can make your lawn look unsightly. Moss can be treated with a combined lawn weed, feed and moss killer then raked out with a lawn rake which should also remove thatch, leaving your lawn in a good condition for growth of new healthy grass. Autumn is the ideal time to seed new grass as it is still warm enough for the seeds to germinate and there is usually plenty of water around to keep the young grass hydrated. Filling bare patches and any areas of thin grass due to moss and thatch removal now means the new grass will have a chance to establish itself before your lawn goes dormant due to the cold weather. Your lawn should then already be looking full and healthy once spring rolls around, giving you an attractive looking lawn as soon as the warmer weather begins. The key to making sure your grass is strong enough to survive winter with minimal damage is to make sure it has all the right nutrition. A specially formulated autumn and winter lawn feed will contain the exact blend of nutrients needed to get your lawn in peak condition before winter and help to keep it healthy until you’re ready to start enjoying it again in the new year. Proctors is the complete expert when it comes to lawn fertiliser. With over 200 years’ experience, we know a thing or two about getting the most out of grass, so for general advice or information on any of our products, please give us a ring on 0117 311 1217. 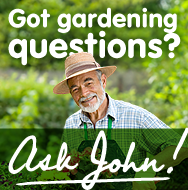 Or, if you have a specific question, why not Ask John? Hi . I've just bought your Autumn/Winter Lawn Feed (3-10-5). I can't find any recommendations regarding safety for pets on the data sheet or your website. What is your advise for application and keeping pets off the lawn please? Using Autumn/Winter Lawn Feed shouldn't be any problem for cats or dogs as it doesn’t contain a weed killing element. If one does eat out of the bag, it would be sick, but should be fine. I would recommend that pets are kept indoors away from the bag whilst spreading for peace of mind. If you have a very small dog, and you are of nervous disposition, then wait until it has rained or water in. Always apply before rain is due.